It's been just over six weeks since the province launched its down payment assistance program in an effort to curb the housing crisis on P.E.I. 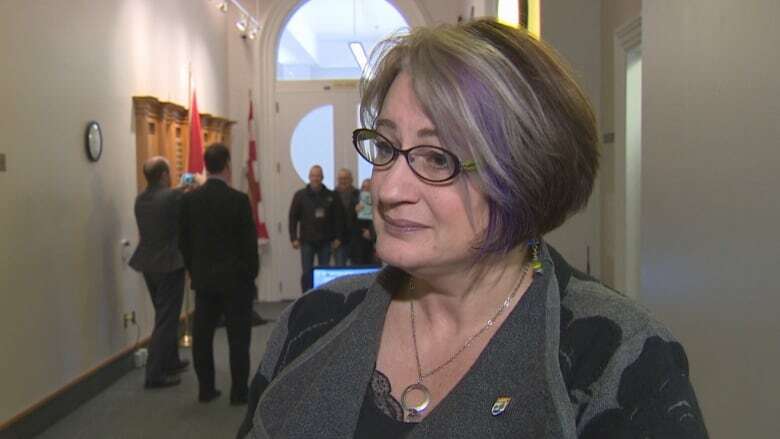 Green Party MLA Hannah Bell is questioning the criteria of the province's down payment assistance program. Under the program, first-time home buyers with a household income of up to $80,000 will qualify for a loan to cover the five per cent required down payment. But that's only on houses that are $225,000 or less. In the legislature Friday, Bell said an income threshold of $80,000 is too low. "When we take into account what your salary is versus what ends up in your pocket — after you've made all your main expenses you often don't have much left at all," she said. The current financial threshold keeps people who would otherwise benefit from the assistance program from being able to apply, she said. The Greens suggested the province adopt a sliding scale approach where someone's income threshold could be higher than $80,000 but the loan that is given be less than five per cent. Bell said the province should also consider where the home is being built as some homes in rural P.E.I. require renovations. She also said Islanders looking to build their homes should be able to qualify for the assistance program as well. "Where do you draw the line? It is a program. There are criteria set around it and we make those decisions to the best of our ability but there is a criteria," said Finance Minister Heath MacDonald, adding the department is open to reviewing the program. But a review likely won't happen for another six months, MacDonald said, to allow enough time for the province to properly evaluate how well the program is working. About $200,000 has already been distributed toward down payments, the finance minister said. So far there have been 30 applications for the program, 22 of the applications have been approved and six remain under review. Only two have not qualified for assistance.